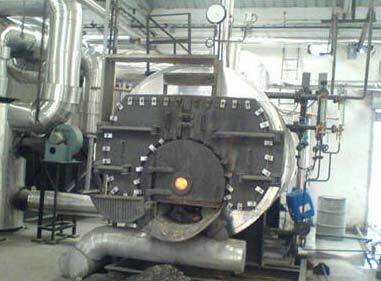 We are Gujarat, India based organization and actively engaged in making available precision-engineered 3 Pass Wet Back Boilers in India and overseas. The company has all the in-house amenities, required for furnishing standard as well as typical requirements of the buyers. Apart from this, we maintain a large stock to fulfill ever-evolving requirements of the buyers. Our prices are also marginal. More about 3 Pass Wet Back Boiler : The offered range is considered as an ideal alternative for meeting stream requirements up to 100 kg/hour with have 90% efficiency in operations. In addition to this, the offered range is known for not needing a separate boiler and possesses a capacity for multi-fuel application, shop assembled & erected at site. Known for less fuel & power consumption, the offered range is extensively applicable in food, ceramic, other industries. Offered range started working as soon as it gets steam, water pipe work, fuel supply and electrical connections.